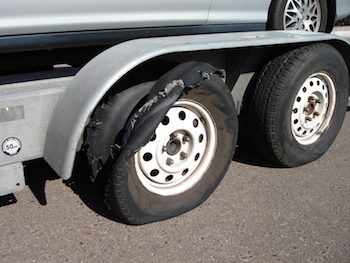 Not all tire damage takes the form of punctures that result in easily visible flats. Sometimes, a tire can take abuse that isn’t as simple to spot, due to wear, an impact out on the road or heat. Regularly inspecting your tires both visually and with a tire gauge — at least once a month — is a great way to make sure that you aren’t at the limits of safety by riding around on rubber that needs to be replaced. Check out these three common types of damage that can signal the end of the line for your tires. Chunking is the term used to describe missing sections of tread from a tire. It almost looks as though the tread has been sliced or torn off in chunks from seemingly random areas. Tire damage like this typically occurs for one of two reasons. The first is related to suspension problems, such as a bad shock absorber making it impossible for the tire to maintain constant contact with the road. As it bounces up and down on the pavement, the force of the impact can cause tread chunking. A second common cause of chunking is related to heat — specifically, not warming up a tire before subjecting it to severe stress on an autocross or road course. 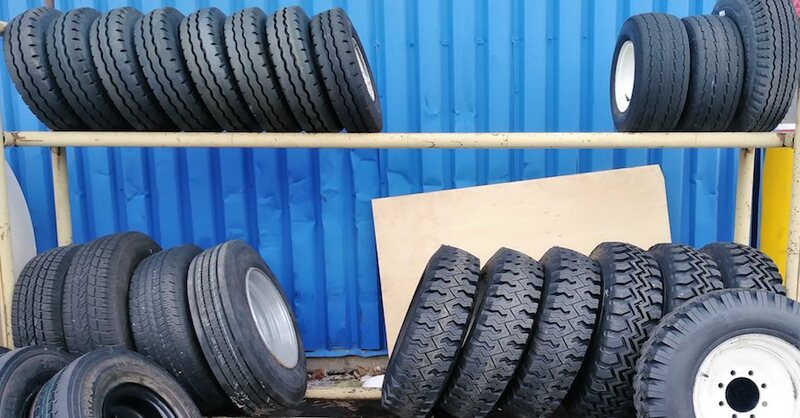 Chunked tires are not immediately dangerous, but their lifespan has been significantly shortened. 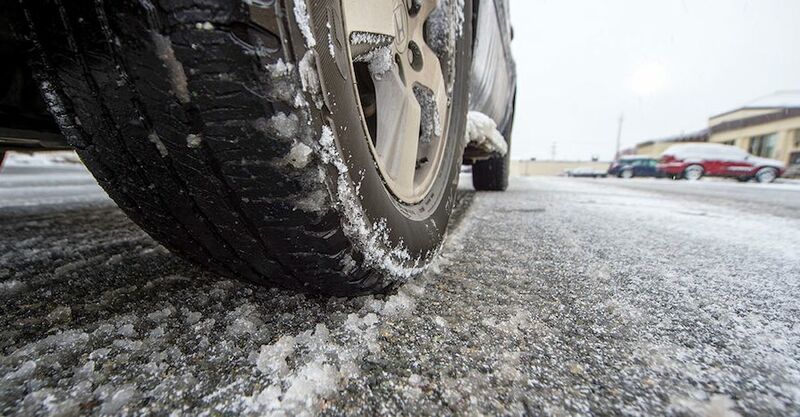 The more tread that’s missing, the less grip they’ll have on the asphalt, which in turn can lead to unpredictable behavior under braking, in inclement weather or when cornering. A bulge, bubble or bump on a tire’s sidewall — even if it’s small — is a more serious cause for concern. This type of tire damage usually results from a sharp impact with a pothole or a curb, which damages its inner liner. As such, air escapes from the liner and begins to push up against the outer rubber of the tire, creating the distended, bulging appearance. The important point to remember is that the internal integrity of the tire has been compromised, and it’s no longer strong enough to resist a blow-out should another impact occur. A sidewall bump means it’s time for tire replacement. 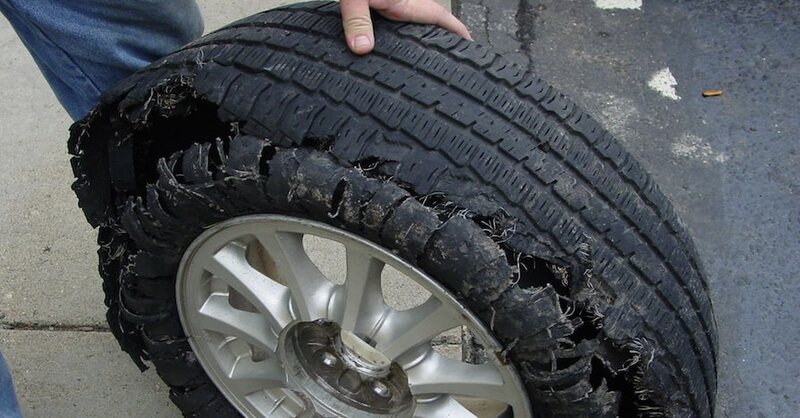 This type of tire damage is often preceded by a vibration from the front of the vehicle that you can feel while driving. It happens when the rubber tread of the tire begins to separate from the casing of the tire itself, which is almost always associated with a manufacturing defect (although abusive driving, serious potholes and significant wear can also contribute). 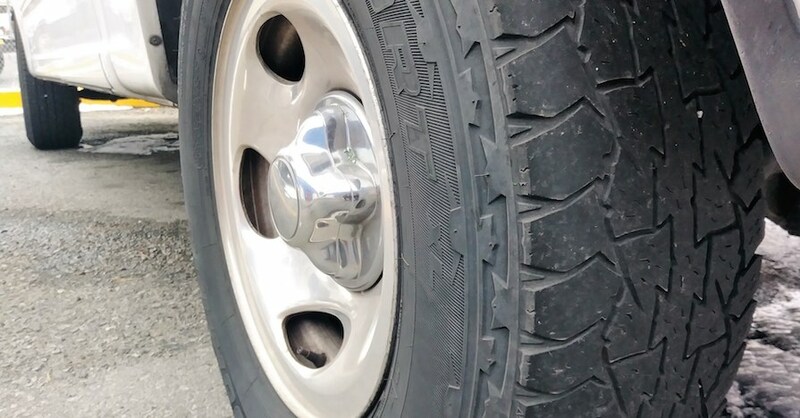 You may see a warning bubble form in the treaded area of the tire, or you may not. Either way, tread separation is dangerous to the point where the tire must be changed out immediately. 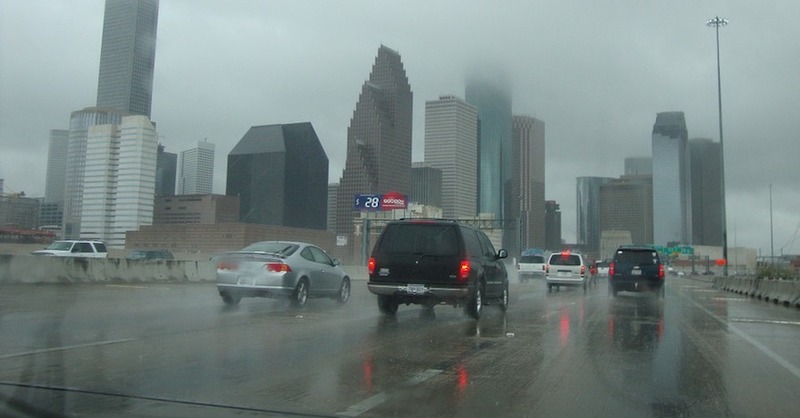 Tires are the only part of your car that touch the road, and their condition is vital to your safety while driving. Stay vigilant for damage, and you’ll roll on for hundreds of thousands of miles without having to worry about the state of your rubber. Check out all the steering and suspension parts available on NAPA Online or trust one of our 16,000 NAPA AutoCare locations for routine maintenance and repairs. For more information about tire damage, chat with a knowledgeable expert at your local NAPA AUTO PARTS store.